When plug in a USB flash driver in Ubuntu, it normally pop-up a window ask what application to launch. And you might choose one app and check the “Always perform this action” under, then Ubuntu always launch this app on this USB mount without pop-up window asking for an app again. (see picture). Then what if you change your mind and want to auto-play the USB device with other apps? 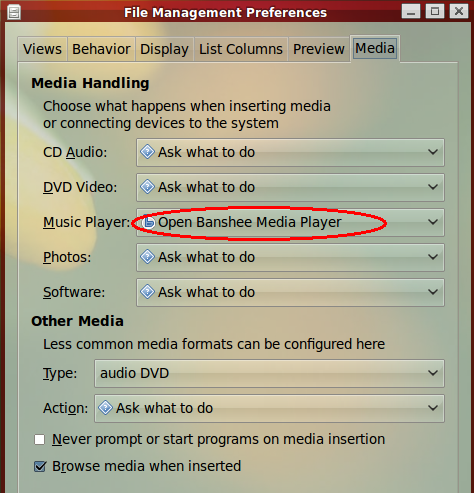 Here’s an example that I have chosen to open with Banshee Media Player on my Nokia memory card plug into Ubuntu, and checked “Always perform this action”(see the picture above). 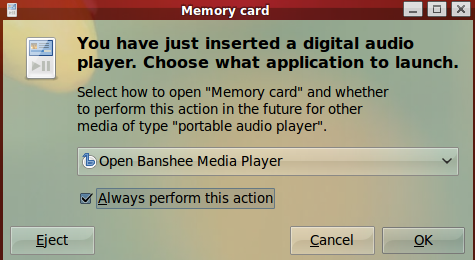 Now, I want to open the memory card in Nautilus file browser and don’t want Banshee to auto-play it any more. 2.) 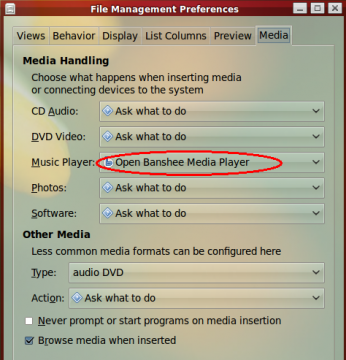 Change “Open Banshee Media Player” to “Ask what to do” and that’s done. 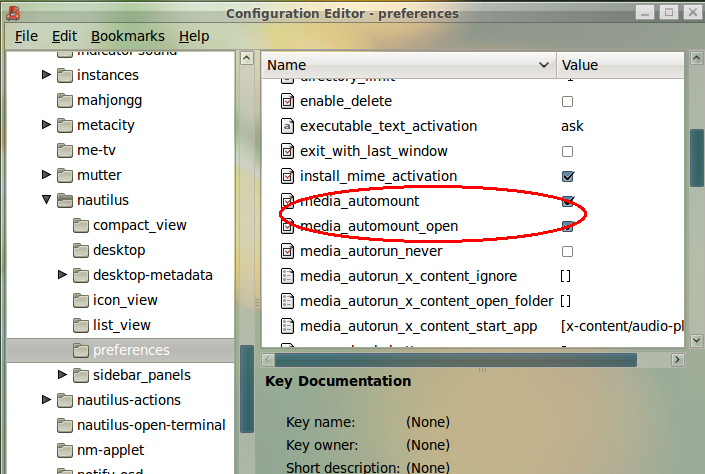 navigate to app/nautilus/preferences, then “media_automout” and “media_automout_open” checkboxes. 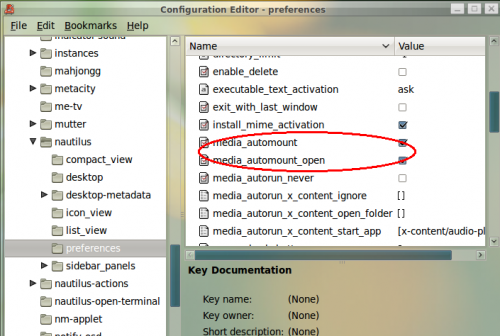 No user responded in " Change automatically launch app on USB mount in Ubuntu "